So basically, when I was younger I went to this thing called ChatterBooks where we – brace yourself – talked about books! A girl witch called Mildred who is really bad at flying her broom and always gets told off but one day saves the school from being turned into frogs by a group of wicked witches. 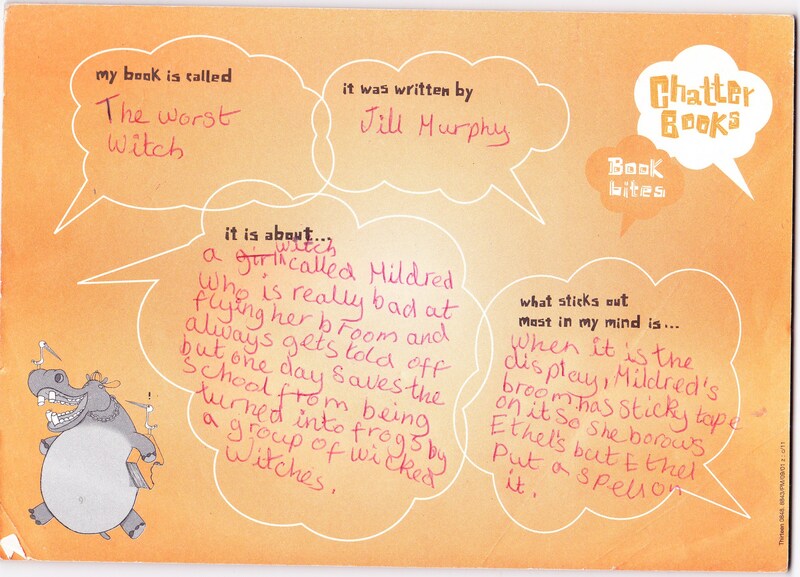 When it is the display, Mildred’s broom has sticky tape on it so she borows[sic] Ethel’s but Ethel put a spell on it.